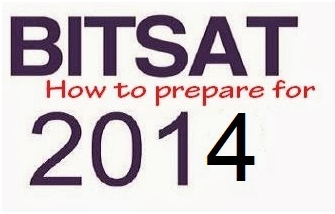 In BITSAT 2014 exam, there will be 40 questions of 3 marks each in chemistry section. Fortunately, the level of the chemistry questions of the BITSAT exam is almost same as those asked in board exams and also the syllabus does not vary much from that of CBSE. All you need to do is to gain the deep understanding of the concepts. Go through the previous year question papers of BITSAT and point out the topics from which the questions are asked generally and try to prepare those topics perfectly. Once you prepare those topics try to solve those papers and other related questions. This will give you lot of confidence. It is always helpful for a student to know which topic is more important in order to prepare for the exam. Knowing the weightage of the various topics helps a student manage the time, which s/he should devote to a particular topic while preparing for the exam. Here is the topic wise weightage of chemistry for BITSAT exam. As you can see, in the table given above, the list of topics is very long and there are many topics with equal weightage. The question that may strike your mind here is—whichtopic should one prepare first? Hence to help you prepared accordingly, we areproviding you the list of the Top 10 scoring topics. You should prepare these topics first in the same sequence as given below. As in all examinations,here too,first of all select the questions of those topics on which you have good command and you know that you can solve them easily. Solving these questions in starting would give you confidence. After solving these questions move to the numeric problems. Numeric problems are most of the time from Chemical Thermodynamics, Mole Concept, Solid State & Atomic Structure. Most of the time a question based on MOT is asked in the paper. These all problems are quite simple to solve if you know the concept and formulas to be applied. Knowing the right formula and concept you can solve these problems very quickly. Questions of organic chemistry are slightly complex and it will be a good choice to solve the question of organic chemistry at the end after finishing the question of inorganic and physical chemistry unless you have very good command on organic chemistry. Birla Institute of Technology and Science (BITS), Pilani is one of the most prestigious Engineering colleges in India. The Birla Institute of Technology and Science Admission Test (BITSAT) 2014, the engineering entrance exam to BITS Pilani campuses in Pilani, Goa and Hyderabad, will be conducted online from 14 May to 1 June, 2014 at dedicated exam centers in numerous cities across the country. Out of 150 multiple questions, physics section contains 40 questions worth 120 marks in the examination. In the examination, each correct answer gives 3 marks and each incorrect answer deducts 1 mark. In this Exam, the difficulty levels of questions are moderate and complex. So you have to maintain the balance while picking the question taking in account its weightage and the level of difficulty. One of the tables given below is indicating the weightage of topics in the physics section and other one is suggesting the right order of picking the questions in the examination to score well. The second table signifies the order of picking the right question keeping in mind the level of difficulties as well as the weightage. Heat and thermodynamics have the highest weightage, followed by Electricity and Magnetism. First try to attempt Heat and Thermodynamics. The weightage of this section is 10%. It is the easiest topic to score. Questions are regularly coming from using Laws of Thermodynamics, Entropy and Kinetic theory of Gases.After finishing this section, you should proceed towards Electricity and Magnetism section. If you know the law properly and some concepts regarding the direction of electric and magnetic field (Like Application of Gauss law, application of Biot-Savart law, Faraday 's law, right hand and left thumb rule for current, electric field and magnetic field direction), you can easily solve this section in a very short period of time. The data shows, weightage of only magnetic effect of current and magnetism section is 9%. So over all weightage of Electricity and Magnetism section is 22 to 25%. After finishing this section, you should proceed towards Modern physics (Atomic Physics and Nuclear Physics,). Because the question are coming from this section are directly. So, you can solve the questions from this section using direct formula and also very time consuming. The other topics in Physics such as ray optics, wave optics, gravitation, fluids and rotational motion have more or less the same weightage. All of these topics need to be studied thoroughly and extensively before attempting the exam. The Adroit faculty consisting of ex-IITians has further worked on this list and has prepared a list of the topics according to increasing level of their difficulty. ‘Circles’ is the most scoring topic, which can fetch you some direct questions too. Since it carries 11% weightage in the exam, it must be given due importance. The algebra portion is also equally important and, hence, students must also focus on continuity & differentiability, vectors and straight lines. Some of the areas that are quite simple and fetch fairly good amount of questions include differential equations, theory of equations, matrices & determinants, complex numbers and application of derivatives. Domains like probability and properties of triangles demand a lot of practice. The table given below illustrates the topics in increasing level of difficulty i.e. simplest on top and the hardest at the bottom. Besides referring good quality BITSAT study material, it is important to follow an appropriate strategy in the right direction. Meticulous planning can help you ace the mathematics section with ease.